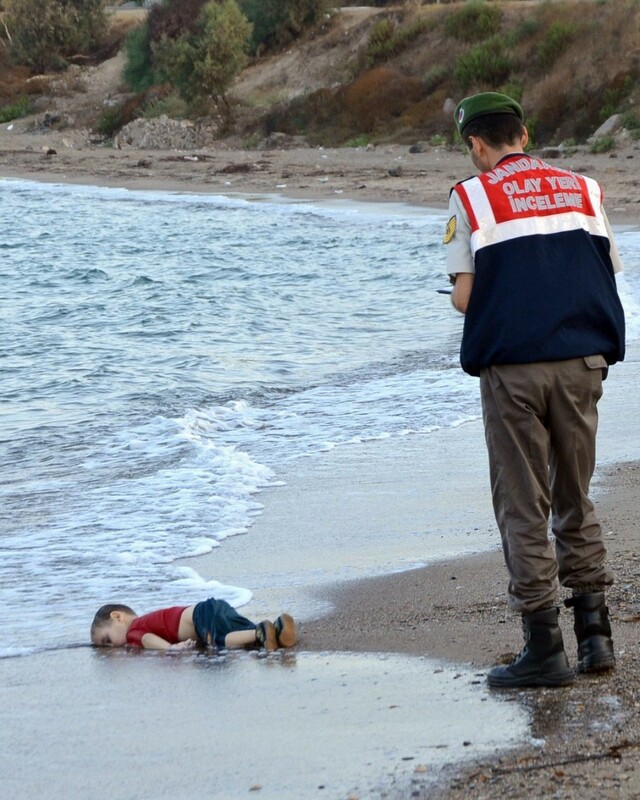 Last days we all saw a photograph of a drowned Syrian toddler that went viral in social media networks.The Kurdish boy who washed up on the beach was identified by Turkish officials as 3-year-old Aylan Kurdi in news reports. He was in one of two boats, Reuters reported, carrying a total of 23 people that set off separately from the Akyarlar area of Turkey’s Bodrum peninsula, apparently headed to the Greek island of Kos, where they could have attempted to enter the European Union. Reports suggested that their ultimate destination was Canada. Later a tech pioneer connected some dots in a simple, powerful tweet that was soon widely shared.David Galbraith, a Geneva, Switzerland-based tech entrepreneur and designer, tweeted an iconic black-and-white photo of Steve Jobs with the words: “A Syrian migrants’ child.”The Apple founder’s biological father left Syria for the United States in the 1950s. Galbraith is a partner at Anthemis Group, a digital financial services investment and advisory firm. He was also co-founder of MLS Ventures, an incubator where Yelp was created; a co-author of RSS, which lets individuals syndicate data using feeds; and co-founder of Moreover.com, which was acquired by Verisign in 2005. By midday Thursday, Galbraith made a tweet,that reminds the world that Steve Jobs was also a Syrian Migrant’s Child like Aylan Kurdi.The tweet went viral with more than 4K retweets and 2K favorites.